Founded in 1982, our family-run business has grown to become one of Worcestershire’s leading jewellers. Built on honesty and reliability, our esteemed service and superior craftsmanship has captured the imagination of generations of loyal customers. 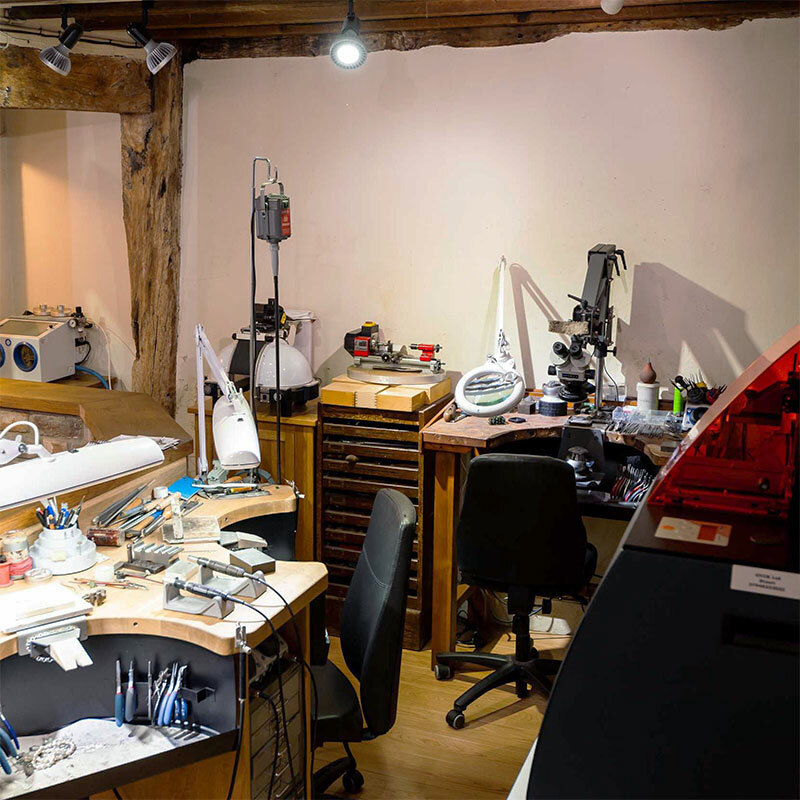 Unlike many others, our jewellery is created by us on site with our workshop in full view to customers from the shop floor. We pride ourselves on producing beautiful, high-quality jewellery and welcome personal commissions for any occasion. We also offer an extensive repair service to help keep your jewellery as beautiful as the day it was purchased. Whether you're looking for contemporary silver or stunning fine jewellery, we showcase a variety of styles to suit all tastes and budgets and invite you to come and explore our eclectic range. Throughout the decades Mark has shaped and defined his vision into the shop it is today. With over 39 years' experience and such a comprehensive understanding of the craft, it is not just his qualifications that has led him to become one of the finest working goldsmiths. Inheriting Mark’s passion for jewellery, his daughter Tash is following in his footsteps currently training as an apprentice at the shop. They have recently been joined by fellow goldsmith Helen, whose conscientious manner and eye for precision after 29 years at the bench fits seamlessly into the shop's ethos. The latest Linley to join the team is arguably the most important. 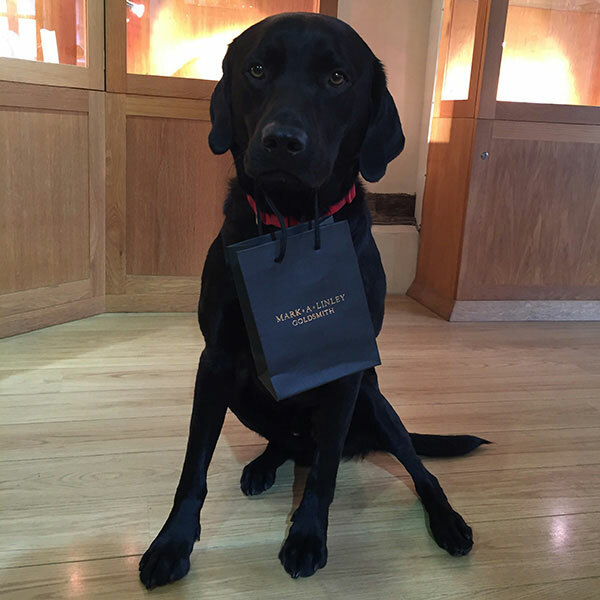 Continually winning ‘Employee of the month’ for his gentle nature and outstanding customer service, their 4-year-old black Labrador called Bode is an iconic feature. Renown for actually smiling, you couldn’t ask for a friendlier welcome on arrival to the shop! Located in the heart of Worcester City, we can be found along historic Friar Street, named after the ancient friary (Greyfriars) which was established here in 1239. Renowned for its beautiful architecture, our prominent timber frame building adds to the character of the street, with our iconic sloping oak beams giving a lopsided appearance. Unfortunately historic documentation on the building is poor but it is believed to date back to the mid-16th century, with Robert Danse thought to have been the first tenant. We are very proud to be part of the rich history of this distinguished National Trust Property.